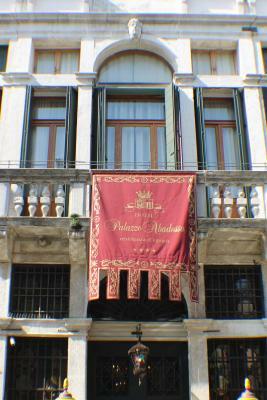 Lock in a great price for Hotel Palazzo Abadessa – rated 9.3 by recent guests! Great location. 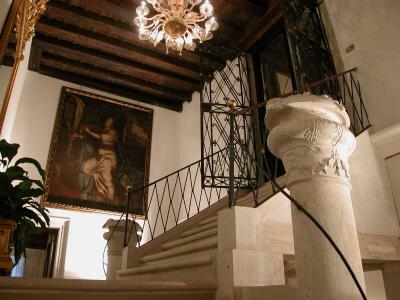 The hotel consists of a historical house, in Canarregio. 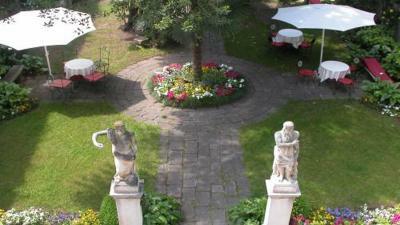 The garden is lovely, did not use it much (was in December). 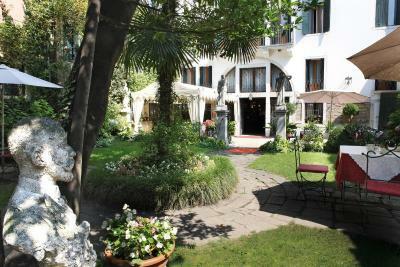 The hotel is a quiet oasis, just 50 yards from the Strada Nuova thoroughfare. Great and attentive staff. 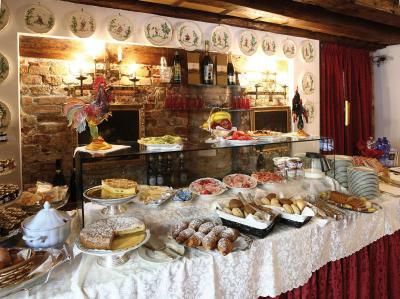 Superb breakfast with a mix of savory and sweet dishes. 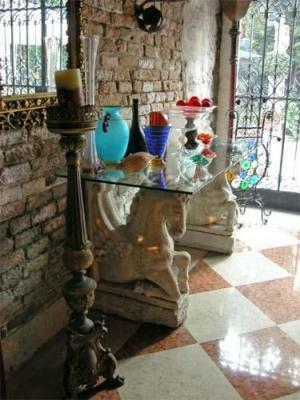 Breakfast room is lovely, with a bust of Queen Marie Antoinette in a niche. 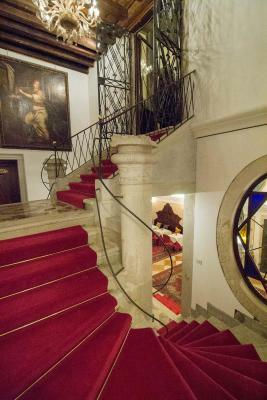 A fantastic old hotel with amazing service by the staff who were extremely friendly and helpful. 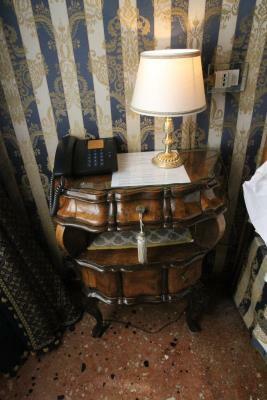 The character of the hotel is ancient class. Small but great features such as great garden area, nice quiet location but still close to the main street that has good shopping and restaurants. 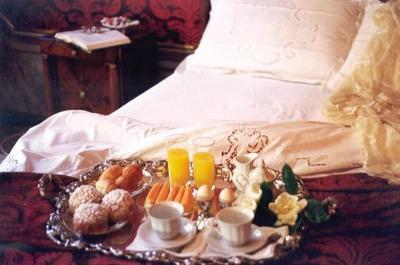 Continental breakfast had lots of choices and very good espresso/cappuccinos. 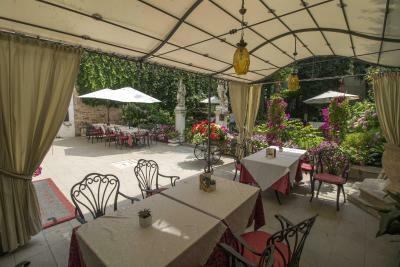 Location was very good and very quiet with beautiful garden to have breakfast in. 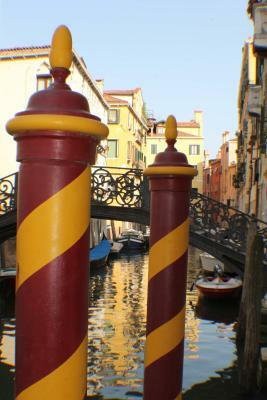 Close to main shopping street of Strada Nuova and traghetto to Rialto bridge. Air conditioning worked great which was a major plus. 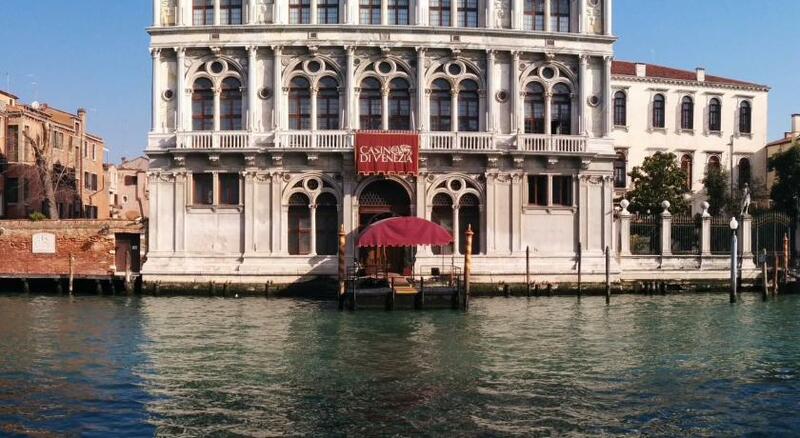 An amazingly beautiful residence turned small hotel. 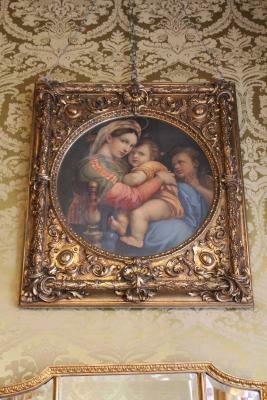 The staff was accommodating to my tired, luggage-heavy family. Our room (Jr. suite) was spectacular and comfortable. Breakfast and tea in the garden was so lovely, we could have been happy to stay there all day. 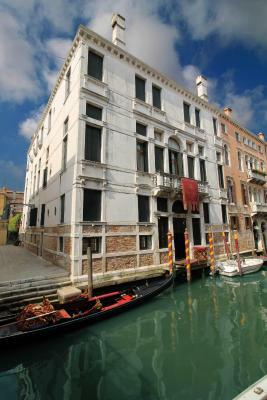 This historic property really gave us a taste of what a wealthy life in renaissance Venice might have been like. Next time we go, it will be the first call I make. 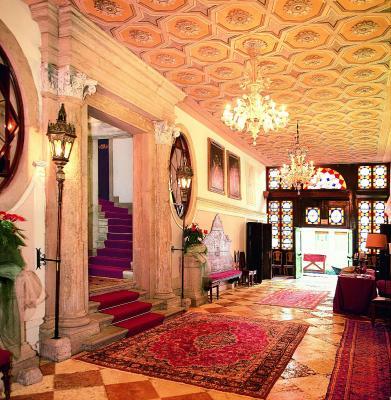 Really feels like staying as a guest at someone’s Palazzo. 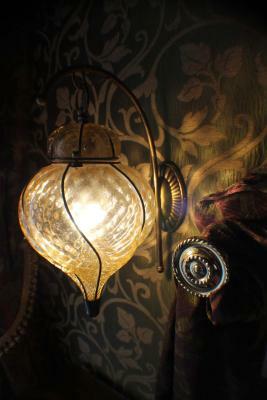 The decor feels authentic and well preserved. 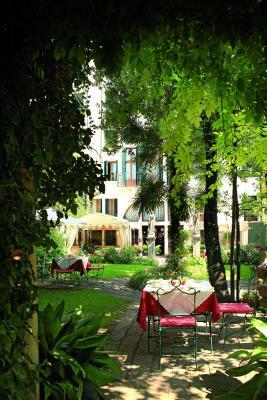 The breakfast in the hotel’s enclosed patio-garden was a great way to start the day. The staff provided great service. The location is amazing! 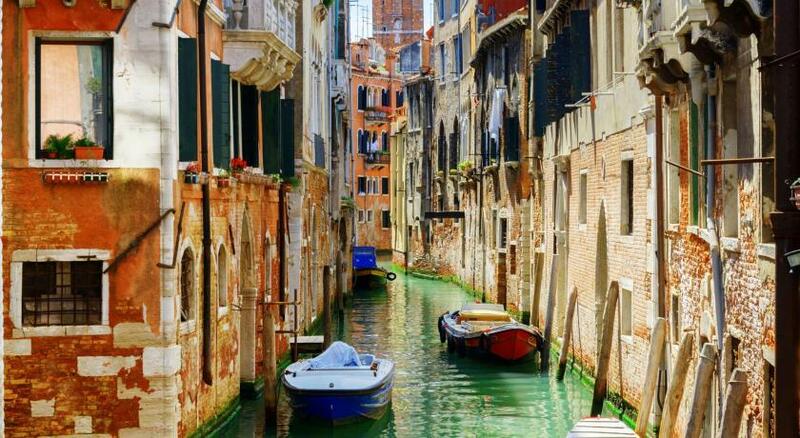 Off the tourist track in a great part of the city to really experience Venice. 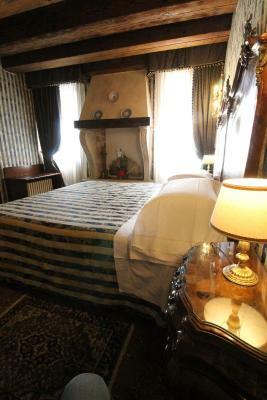 The staff and the amenities made it a very comfortable stay. Plenty of good advice and little extras! 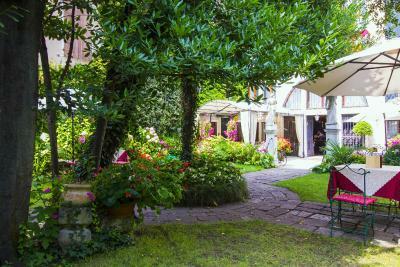 The garden in the middle of the city is a real peace haven. 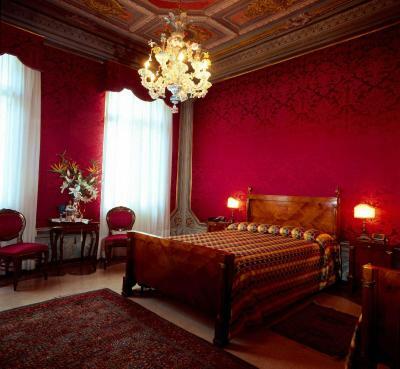 Hotel Palazzo Abadessa This rating is a reflection of how the property compares to the industry standard when it comes to price, facilities and services available. It's based on a self-evaluation by the property. Use this rating to help choose your stay! 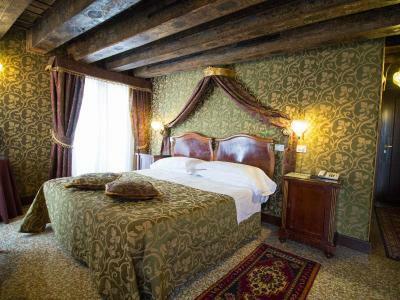 One of our top picks in Venice.Set in a former Doge’s 16th-century residence, Hotel Palazzo Abadessa overlooks the Santa Sofia Canal in Cannaregio, It offers a peaceful garden and rooms with Venetian views and antique furnishings. 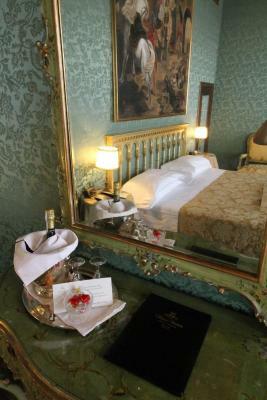 When would you like to stay at Hotel Palazzo Abadessa? 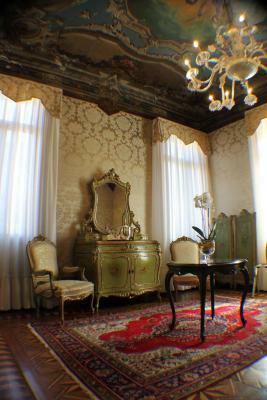 This room has a classic Venetian design with antique furniture. 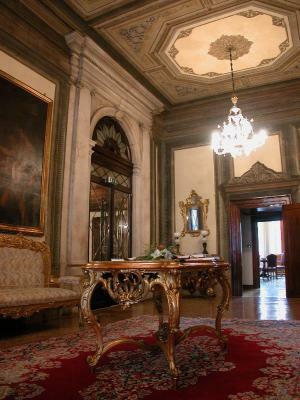 It is on the mezzanine floor and offers a view of the grounds, the small square of Priuli or the canal. 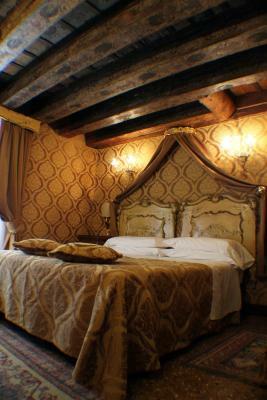 This elegant suite is set on 2 levels and overlooks the canal. 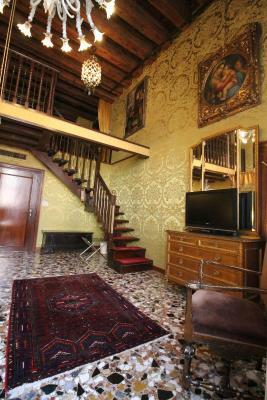 The living area and the bathroom are on the second level. 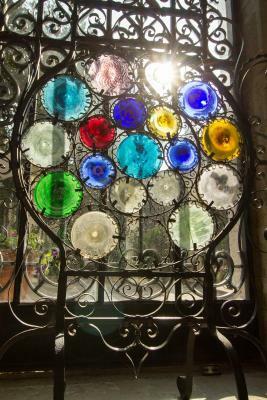 This room is located on the first floor and offers garden views. 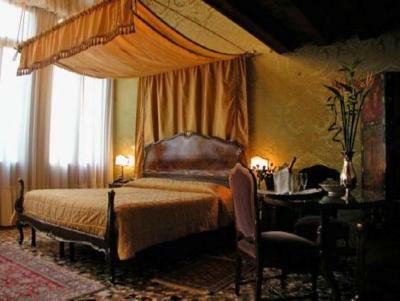 It has a classic Venetian design with antique furniture and luxurious silk wallpaper. The ceiling is 200-87 in high. 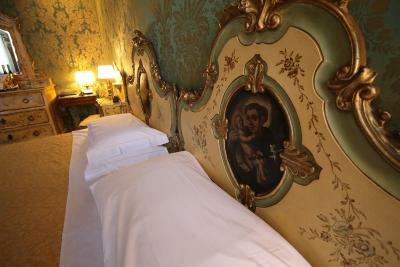 On the top floor, the junior suite has high ceilings which are painted or in fresco. 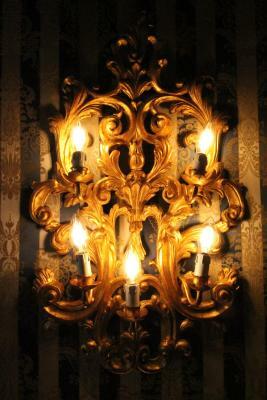 It has lamps made of Murano glass, 18th-century furniture and silk wallpaper. 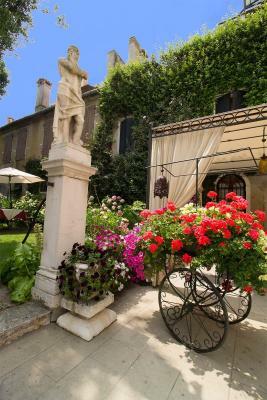 It overlooks the garden, the small square of Priuli or the canal. 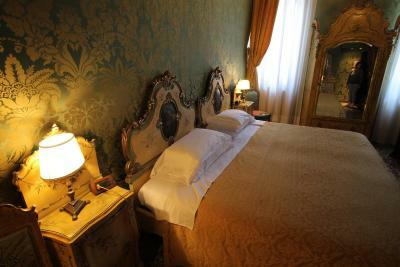 This classic Venetian-style room is on the ground floor near the lobby. 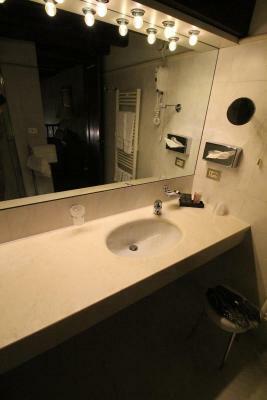 It features a large bathroom with shower. 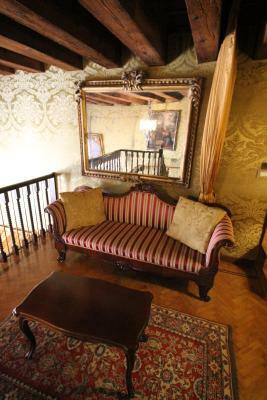 Featuring Venetian decor and antique furnishings, this room is on the mezzanine floor. 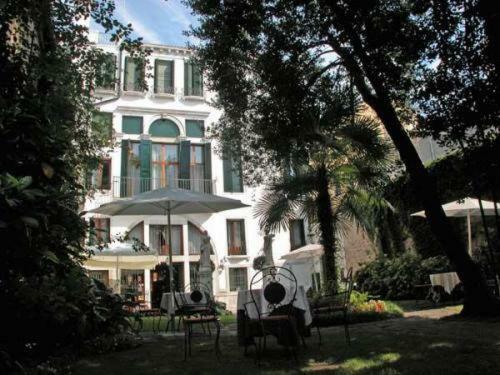 It has air conditioning and a flat-screen TV with satellite channels. 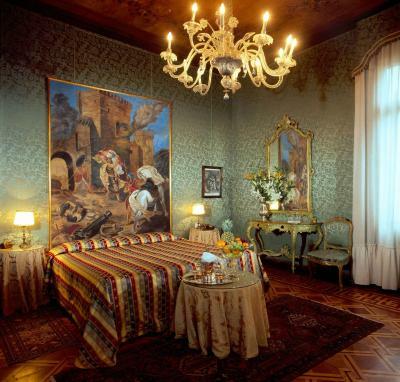 Featuring Venetian decor and antique furnishings, this room is on the top floor and has garden views, air conditioning, a mini-bar and a bathrobe. 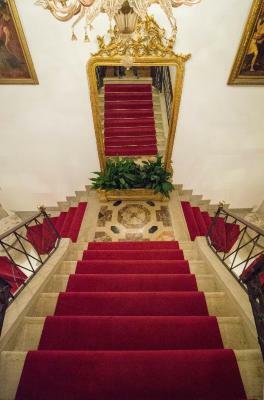 The Palazzo bears a long history in the Venetian scenario (residence of an Abbess,house of the Priuli Doges site of Austo-Hungarian embassy and what makes this Palazzo stand out from a standard Hotel is the fact that we wanted to keep it as authentic as possible. 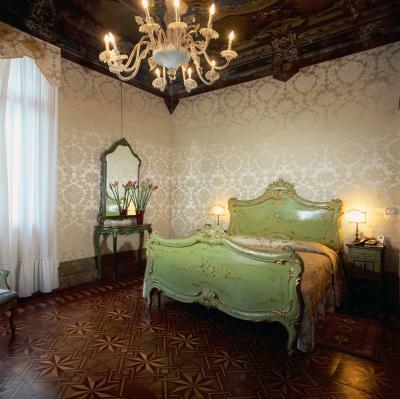 Every room has antique Venetian furnitures, murano glass chandeliers and frescoes all over the hall and noble floor. 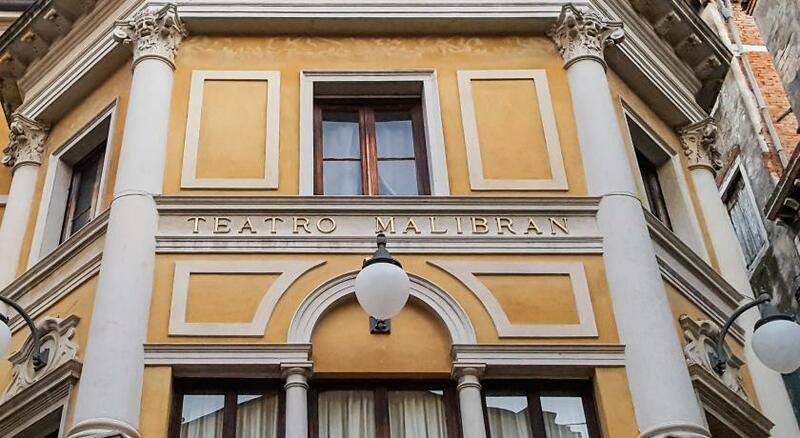 by booking in here you will be overwhelmed by friendly and professional staff, who will allow you in the real Venetial experience. 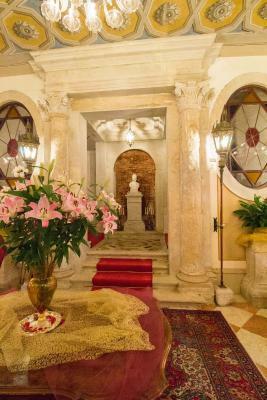 House Rules Hotel Palazzo Abadessa takes special requests – add in the next step! 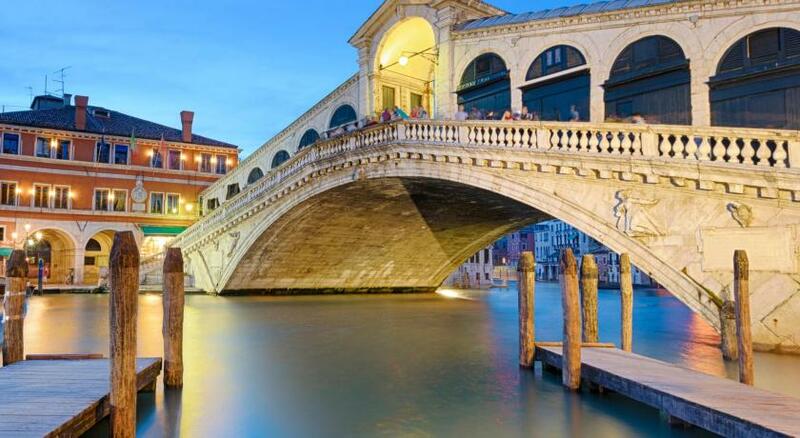 Hotel Palazzo Abadessa accepts these cards and reserves the right to temporarily hold an amount prior to arrival. Don’t book if you are looking for recently renovated modern facilities, and would complain about, say, a small bathroom, or the fact that your room is different from the one next door. 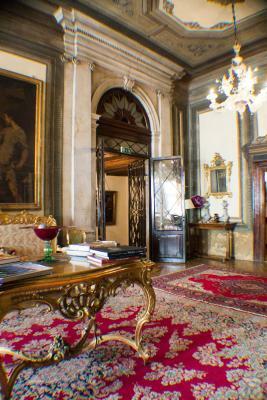 The rooms are all different and have been created in full respect of the historical design of the palace. That’s what makes it unique. An experience to remember in the very best way from start to finish. 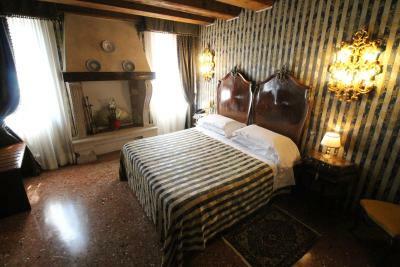 Situated in the heart of Venice yet quiet even during carnival time and close to ferry station to the airport. 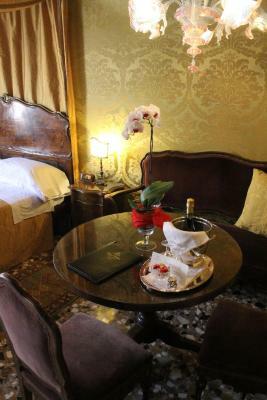 Beautiful old palazzo, exquisite room, yummy breakfast and extremely helpful staff. Loved the afternoon tea before going back into the city. 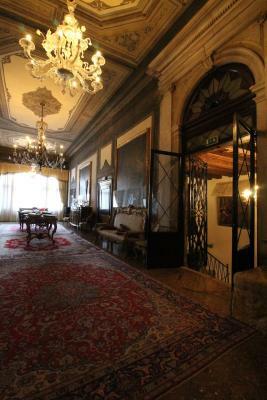 The location, the room, the palazzo, the authenticity, the tea in the afternoon. 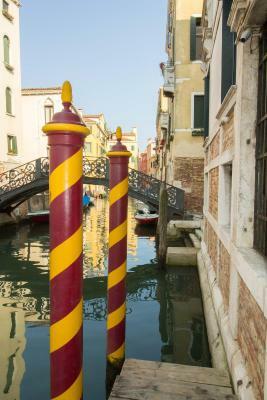 Perfect location in residential area and 10 minutes walk from the waterline stop F de Nove, which had a straight airport ferry connection (took appr. 30min). 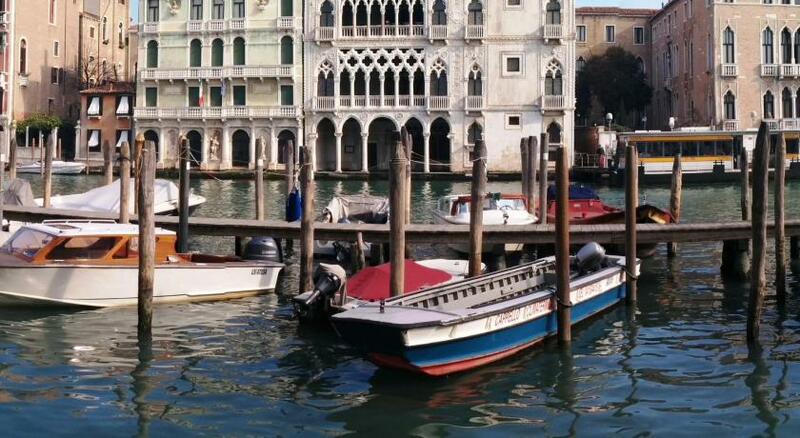 15-20 min walking to St Marco’s Square. 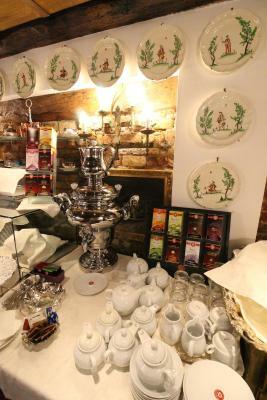 Fantastic breakfast, free tea in the afternoon and free drinks Saturday evening. Staff is very nice. 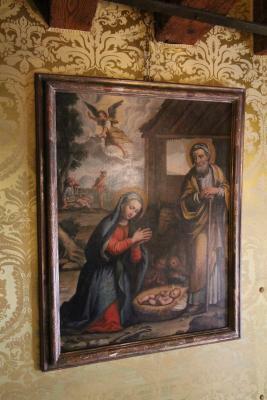 We had a basic room which was small but cosy and lovely.